A tidy little wine accessories gift set comprising a 3-in-1 bar tool and a wine bottle stopper. 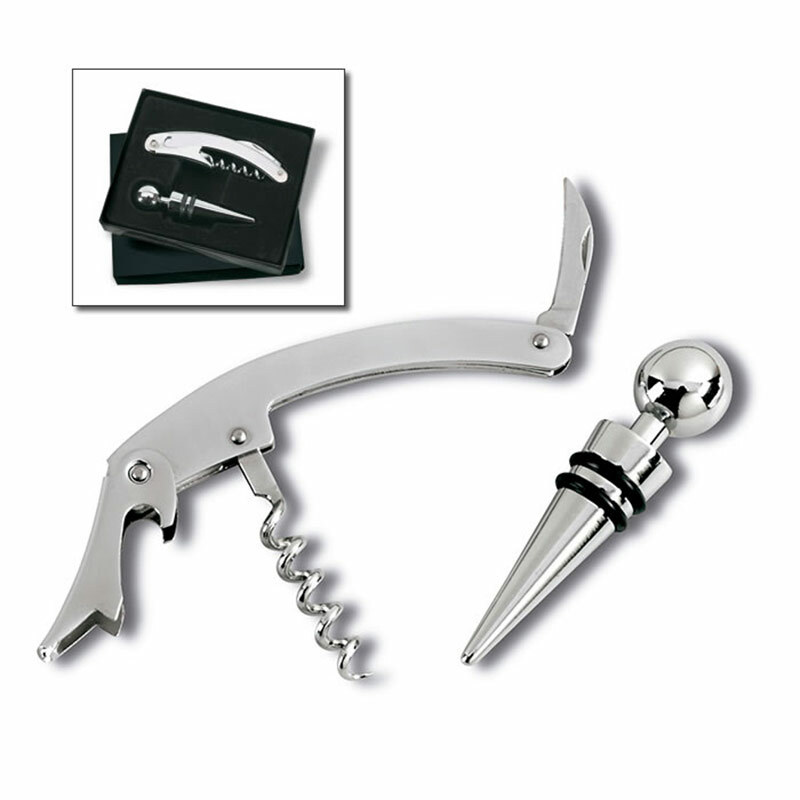 The bar tool includes a corkscrew, bottle opener and foil knife and, as with the stopper, is made in sturdy metal. The two items are inset into a gift box which can be customised with your name, logo, message or event details.